Diabetes has become a common problem among the young and old, and still remains a very serious threat to our health. Having a person with diabetes symptoms in your family would mean that you have to follow a lot of guidelines tailored to ensure that your loved one stays healthy and continues to lead the same quality of life as before. Following the right guidelines for diabetes care can mean that your loved one stands lower chances of suffering from heart problems, stroke, nerve damage, eye disease, kidney failure and gum diseases. However, figuring out the proper steps and actually implementing them in real life can be difficult. 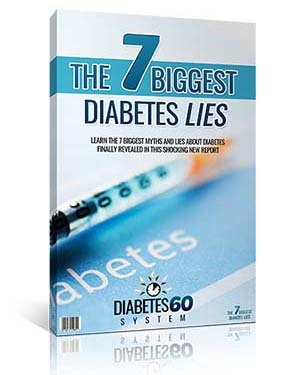 But obtaining as much information about diabetes as you can will help you a lot. Hence, here are some suggestions that are explained in simple terms. Research and find out all the essential information related to diabetes. The more you know about the illness your family member has, the better care you can provide to him or her. First and foremost, you need to identify the signs and symptoms, and then know if they were diagnosed with type 1 or type 2 diabetes. Once you find this out, then you need to start learning about the recommended activities and procedures necessary for keeping the disease in control. Depending on the severity of the symptoms, this may or may not include a specialized diabetes diet. If you or your family member has been diagnosed with diabetes, you need to consult with your doctor and then prepare a program that will work for you. Once it is done, you need to follow that program strictly, and if there are no improvements you need to get it adjusted as soon as possible. More information you can get on various aspects of diabetes the better. Diabetes symptoms can be noticed and might affect several different body parts. Proper diabetes treatment requires you to know what the right things to eat are and how to stay physically active. If the patient has a smoking habit, he or she needs to quit immediately. You also need to keep an eye on three essential numbers – the A1C count, blood pressure levels and LDL cholesterol level. Some sources suggest that a total dosage of 81 to 325 mg of aspirin per day is just right to reduce the risk of strokes or heart attacks among diabetics. Another important aspect of treating diabetes symptoms is to keep checking the blood glucose level of the patient. Now, going to the doctor every time for these tests can be tedious and a waste of the money. In this case it might be better to invest in diabetes supplies such as glucose test strips or glucose meters that you can use at home. These supplies measure your blood glucose and are an essential part of your overall monitoring process. Glucose supplies can be bought from a lot of different suppliers, but you need to first consult with your doctor before buying them. They can recommend a well known and reliable vendor, because it is very important to obtain properly prepared and calibrated supplies and products. Otherwise, unsafe supplies could be very dangerous to the health of the patient. It is suggested that patients try to implement a specific diabetes diet and lose any excess weight. This can be done by encouraging the person to become more physically active. Diabetes care remains incomplete without creating a proper diet and exercise regime. If you follow them properly, they would go a long way towards keeping the disease under control. With an increasing number of people being diagnosed, it is estimated that this illness has affected as many as 16 million people the United States alone. In addition to that, diabetes – or diabetes mellitus, as it is known – is going to be one of the leading reasons for deaths in the US. 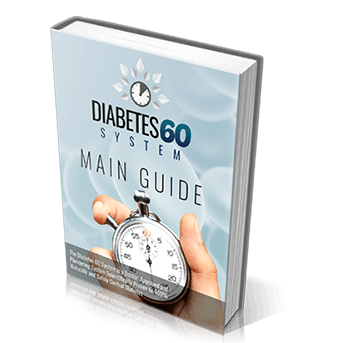 What makes the situation more complicated is that around 5 million patients in the United States are not aware that they are diabetic even though they might be having typical diabetes symptoms. Diabetes is a metabolic disorder in, which there is an insufficient production of insulin, a hormone that is responsible for converting sugar into energy. It is characterized by high levels of sugar in the blood, which mostly occurs due to deficiency of the hormone, insulin, which regulates the blood sugar levels. 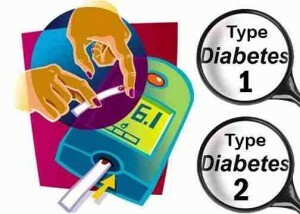 Diabetes is grouped into three main types: type 1, type 2 and gestational diabetes. The Type 1 Diabetes mainly results from the failure of the human body to produce sufficient amount of insulin and requires the patient to inject themselves with insulin. Due to its dependency on insulin, it was earlier known as insulin-dependent diabetes mellitus (IDDM). Due to the insufficient production of insulin, the blood sugar levels are out of balance and the human body is unable to utilize glucose for energy. Some of the more pronounced symptoms of Type 1 Diabetes are feeling hungry, feeling tired or fatigued, frequent urination and blurred eyesight. 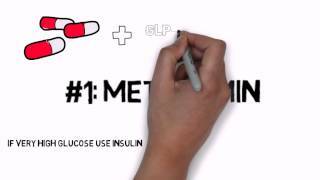 Type 2 diabetes occurs due to insulin resistance. It is a condition wherein the cells in the human body fail to use insulin in a proper manner thereby sometimes leading to insulin deficiency. It was earlier known as non-insulin dependent diabetes mellitus (NIDDM). This is in fact the most common type of diabetes affecting people today. 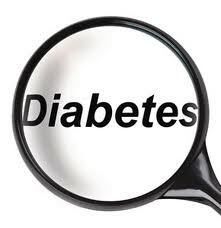 The symptoms for type 2 diabetes include slow-healing infections, blurred vision, increase thirst and erectile dysfunction in men. In this case, a pregnant woman who has never been affected by diabetes earlier in her life, might develop high blood sugar levels during her pregnancy. These types of diabetes have higher chance of gradually changing into type 2 diabetes. There is lot of debate among medical experts over whether diabetes and related symptoms can really be cured or not. Some people believe that diabetes can be cured with the help of allopathic medicine and others think that it can't be 100% cured but that the symptoms can be controlled to a large extent. The task of treating or controlling diabetes symptoms at normal levels depends mainly on the patient and how committed they are towards treating their condition by maintaining a proper diabetes diet plan, exercising and medication. External and implantable insulin pumps, which help a diabetic patient to keep the blood sugar levels in the blood at a balanced level. 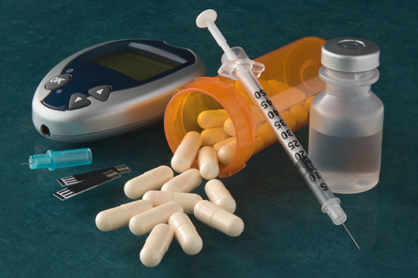 Hypoglycemic drugs, which help to control the symptoms of type 2 diabetes. Various devices helping diabetic patients to monitor the blood glucose levels. This was some of the basic information about diabetes, which you need to know if you have to deal with it, either as a patient or as a family member. If you are noticing some obvious signs and symptoms of diabetes, then it is advisable that you consult a doctor and take the necessary prevention and treatment options to keep diabetes under control. Take diabetes care into your hands!